Today we got off the dock and left the marina that we have been calling "home" for two months. Boy does it feel good. Not only is it wonderful to not be sandwiched like sardines between two boats (even if those boats are our friends!) but it is infinitely more pleasant to be on our own anchor and finally out in some good old fashioned breeze. We have finally turned off our air conditioning and our boat feels less like a dungeonous cavern all buttoned up and locked down (to keep in the cold) and more like the open, airy home it is. Hatches are open, fans are a-buzzing and our cockpit is once again the place of choice to hang out. All is right with our world again. We have almost finished our pre-departure errands: laundry, provisioning, oil changes, rig checks and more - and tomorrow we set sail with our buddy boat, s/v YOLO, and point our bows North. We plan to stop for a couple weeks in the Grenadines, staying south enough of the "hurricane zone" so that if something comes up, we can boogie out of the way in due course. Once we feel it's safe to move further north, we will island hop our way to St. Maarten, which will be our end "destination" for this trip. 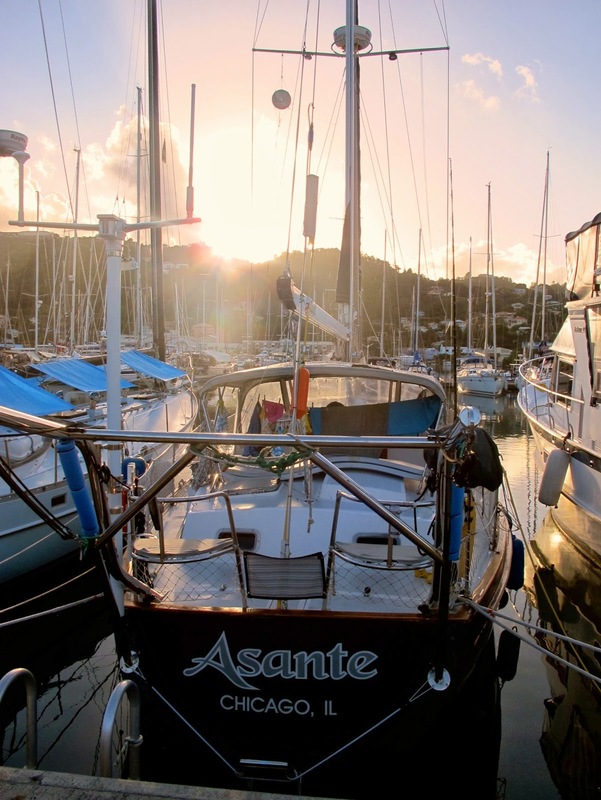 We still have lots of decisions to make - but Isla and I will fly home from there early December, and Scott will fly back to Grenada to do another month-long stint as Captain of s/v Diamant. So much is still in flux at the moment, but suffice it to say: we're going sailing. For now, that is all that matters. Our Facebook Page will be getting updated regularly with pictures and snippets that don't usually make this blog, so if you want more "to the minute" missives, check us out over there.